Gathering knits with floss is a great method for beginners who haven't sewn with elastic or people who achieve perfectly spaced gathers. But that method isn't entirely reliable and without a lot of redistributing and patience my gathers wouldn’t always stay evenly spaced. The best option would be to use elastic and you'll get a perfectly gathered waist. 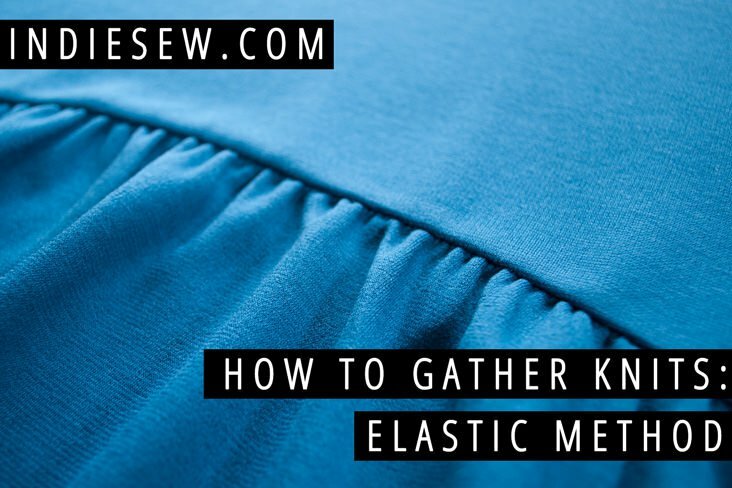 Find the how to gather knit fabric using elastic method here.